9.1) - everyone will have the right to freedom of expression including the right to communication. This right will include freedom to hold opinions and to receive and impart information and ideas without interference by public authority and regardless of frontiers. The exercise of this right may be subject only to such restrictions as are prescribed by law and are consistent with international standards. At OSCE meetings, participants may issue responses to issues that come up during the proceedings. At today’s meeting in Vienna on “Confronting Intolerance and Discrimination against Muslims in Public Discourse”, Elisabeth Sabaditsch-Wolff presented the following intervention. I believe that everybody here, both the representatives of the participating states and of non-governmental organizations, shares a common goal of upholding liberty, peaceful coexistence and respect for diversity, in line with the OSCE purpose of upholding democracy and freedom. This meeting has been called with these objectives in mind. Trying to steer public discourse is at odds with the core concept of freedom of expression. It is not made clear in the agenda if ‘anti-Muslim discourse’ includes criticizing Islam. Singling out Muslims for specific protection constitutes an act of discrimination itself. Anti-Christian anti-Jewish hate crimes are more common than anti-Muslim ones. National law protecting citizens’ rights apply equally well to Muslims as to others. In brief, there is no good reason to single out Muslims as being in need of special protection, as Muslims have the same fundamental rights as any other citizen. No such discussion, however frank and honest, should be considered directed against individual adherents of a faith, and hardly an issue of concern at government level. Attempting to resolve conflicts in society by controlling the public discourse is usually a futile approach, as we saw in Eastern Europe decades ago, and at odds with the objectives of the OSCE. This was Vlad’s idea. Once he suggested it, how could I resist? As mentioned earlier, Elisabeth Sabaditsch-Wolff represented Buergerbewegung Pax Europa today at the “Confronting Intolerance and Discrimination against Muslims in Public Discourse” conference in Vienna. She issued the following statement at the meeting on behalf of BPE. Pax Europa and its affiliations note with grave concern that this definition — or any definition — of Islamophobia cannot and does not address the underlying problems with Islam and its teachings. For example, Pax Europa believes that Islam denies equal rights to men and women. 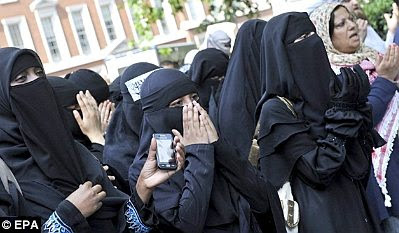 According to the above definition, this is considered Islamophobia. Pax Europa believes that Islam is a political ideology. Since its ideology informs the doctrine of political organizations like the Muslim Brotherhood, it is indeed a political ideology. Pax Europa is accused of Islamophobia for saying so. Pax Europa is of the opinion that criticism of a religion, including Islam, must remain legitimate. This is echoed by the OSCE: “Criticisms of religious practices (just religious practices, not religions themselves? 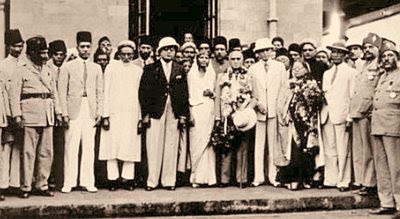 ; BPE) are legitimate speech.” We believe, however, that while Muslims are not a monolithic group, Islam is indeed monolithic, in that all Muslims worldwide, whether they practice their faith in Europe, Asia, Africa, or America, consider the Koran, the Hadith (authentic sayings of Mohammed) and the Sira (Mohammed’s biography) as the basis of their faith. Hat tip: An EDL buck. Sunday, 13 November 2011, at 2 p.m.
America is no longer able to bear the financial burden of her military and political commitments around the world. The only solution is to accept the limits of American power and to establish a rational correlation between its ends and means — in other words, to turn America into a “normal” power pursuing limited political, economic and military objectives in a world populated by other powers doing the same. Elisabeth Sabaditsch-Wolff represented Buergerbewegung Pax Europa at an OSCE meeting in Vienna today. Most of the action occurred while I was asleep, but the sun never sets on the International Counterjihad, and Nilk was able to live-blog the events from her perch in Oz. I’ve reposted her text below. Visit Right Wing Death Bogan to see the photos. Another live-blog of the meeting is available at Tundra Tabloids, also with photos. Update: A longer version on the live-blog, including a video, is available at Europe News. Elisabeth Sabaditsch-Wolff is currently sitting in the plenary in Vienna, attending the confab about “Confronting Intolerance and Discrimination against Muslims in Public Discourse”. She is also pretty much a lone voice in the wilderness that is public discourse in Austria when it comes to going against the current view, and seated with mainly men and mainly muslim ones at that when her views and travails are so widely known has to be challenging. But… she is nothing if not brave, and more than capable of speaking up if she deems it fit. I’ve offered to do a bit of a liveblog for her since she can’t be here doing it herself (one of the bonuses of global timezones, I guess). Update 1: the conference is to be based upon a forward-looking approach, with recommendations to require work of all stakeholders. Intolerance and discrimination can be overcome only with the co-operation of everyone, and of course, intolerance of islam goes hand in hand with racism. It is fueled by stereotypes and prejudices, including the identification of terrorism with islam. It is these sorts of biased views that led to “recent events” in a very tolerant country, and therefore intolerant speech should be avoided because words can do harm. Finding a fair balance is hard. Is freedom of expression absolute? When is it necessary to restrict it? International standards do not provide answers. The criminalisation of hate speech is a threat and can impede robust debate in a robust society. OSCE stresses the protection and promotion of freedom of expression, stresses the role of education in shaping the attitude of young minds. Educators must combat these stereotypes. Update 2: Mr. Omer Orhun, advisor to the Secretary General of the OIC is the next speaker. The EU summit reached a deal in which Greece’s lenders accepted a 50% writedown, the euro bailout fund was increased to €1.4 trillion, and Italy agreed to new austerity measures. According to the French finance minister, the last-minute deal “saved the euro”. Exultation over the good news cause stock markets to rise dramatically all over the world. 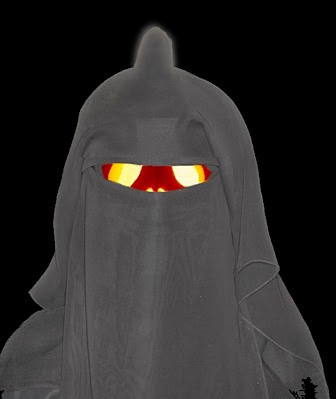 In other news, a French court has ruled that private nurseries, like public institutions, are required to comply with the no-burka law. Also in France, the planned mega-mosque in Marseille — which was to be a proud symbol of Islam’s power and status in the country — was refused a permit by the planning commission, due to zoning considerations. Thanks to C. Cantoni, Egghead, Erick Stakelbeck, Fjordman, Insubria, JP, Kitman, PJ, Steen, and all the other tipsters who sent these in. Below is a video of a joint subcommittee hearing (Oversight and Intelligence) in the House of Representatives concerning the recent attempted Iranian assassination of the Saudi ambassador in Washington, and the terrorist threat posed by Iran. The following article about the case of Khalid Saeed is based on a story told by Hans Erling Jensen. It was written by the editor of Sappho (the website of the Danish Free Press Society), and was translated into English by Hans Erling Jensen. Is it an expression of Swedish hypocrisy when their authorities choose to send an apostate that left Islam back to Pakistan? The current case indicates that it is best to be a Muslim if you want to apply for asylum in Sweden. In Sweden there is room for everyone. Or almost everyone! 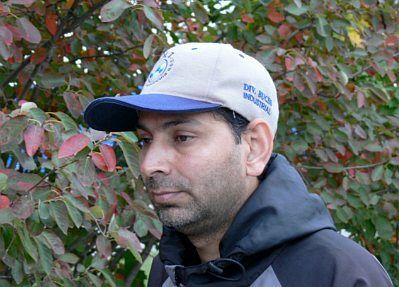 One of the few who did not merit entry is the Pakistani refugee Khalid Saeed, who has just been refused asylum. But it is easy to be lured into thinking otherwise, that Khalid is qualified for a place in Sweden’s safe and sound embrace. According to his own statements, he and his family received very serious threats in their homeland. It is an assertion which seems credible when Khalid also says that he is an apostate Muslim (he calls himself “humanist”). And he has not only distanced himself from his faith, he has done so publicly on his blog. That should turn on all the warning lights! In Pakistan he received a visit from several of Allah’s faithful. They maltreated him and threatened his life. Then he (and his family) went underground and escaped through a roundabout route to Sweden. Here he, his wife, and their three children stayed for the two years that the proceedings have been ongoing. Now the asylum court has spoken and Khalid has to leave Sweden. (Khalid and his family have been underground since September 22nd). But why do the Swedish authorities not find him worthy of staying? It’s an absolutely relevant question. Since last July we’ve received a lot of email queries from reporters, TV people, writers, and other people who want to get in touch with Fjordman. The media professionals are obviously looking to interview him or write an article about him. The vast majority of non-professionals want to thank him and show their support, while the rest — fortunately a very small number — want to castigate him and revile him for his “racism” and “fascism”. A self-identified “left-wing” writer from here in the USA wrote to us a few weeks ago with a request to contact Fjordman. Since then she and I have exchanged a series of emails on the situation in Europe. We discussed the blatant attempts to suppress free speech that have come to the fore since the Breivik massacre. My correspondent is a liberal, but of the old school — she takes the idea of free speech seriously, and reveres the Bill of Rights. She asked me some thoughtful questions, which I did my best to answer. We both expressed our opinions, and the result was a rewarding series of emails. The post below is condensed and adapted from several of my responses to her. I owe her a debt of gratitude for stirring up my thought processes and causing me to put these ideas into words. To refuse the far Right or fascists a platform for their propaganda thus requires a radically different agency, one that seeks to unite ordinary people in robbing the reactionaries of the space to organise. It is a policy that must be enacted by people themselves, as real democracy depends on ordinary people putting their minds and bodies on the line. At times that will expose the Left to claims from mainstream opinion makers that it is being ‘extreme’ or that the Left are just as bad as the fascists. At times the police, as they have done so many times in the past, will intervene to defend Right-wing thugs’ democratic ‘rights’, in stark contrast to their treatment of Left-wing protests. This is what Fjordman, Jussi Halla-aho, Elisabeth Sabaditsch-Wolff, and all the rest of the European Counterjihad movement have to contend with. A conservative’s “right” to free speech is understood to appear in scare quotes. It is something that is not really legitimate. Opponents of sharia are seen as using it to gain unfair advantage. Leftists who believe that the ends justify the means think that silencing people like us through misuse of the law would be a worthy tactic. This isn’t a danger far in the future. This is the reality we face now, especially in Europe. 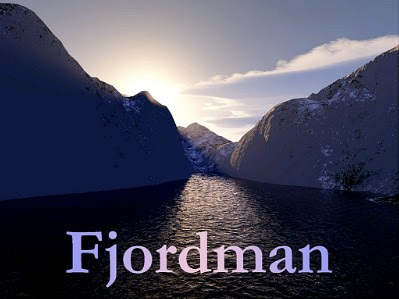 Fjordman is the “Dark Prophet of Norway”. He can see the grim future that lies ahead, and would like nothing better than to be heard, so that this future might be averted. Five or six years ago, changing course to avoid the coming train wreck might have been at least theoretically feasible. Today there is virtually no chance of escaping it. The curse that was laid on Cassandra by the gods was that she would be able to see the future, but that her prophetic warnings would never be heeded by her countrymen. Fjordman has been cursed in a similar fashion. Our critics focus on the term “Eurabia”, which they consider a “conspiracy theory”. But this is a side-issue. There are plenty of people on our side, people whose main goal is to reverse Islamization, who do not place the any particular emphasis on the concept of Eurabia. To focus on any “grand plan” is to miss the point. One may disregard Bat Ye’or entirely, yet look at the current picture in Europe and see exactly what is happening. Fjordman published an article today in the Norwegian newspaper Dagbladet. Below is an English translation by Henrik Ræder Clausen, which was posted in a slightly different form earlier today at Tundra Tabloids. Being critical of Islam or multiculturalism isn’t right-wing extremism, writes Peder Jensen. Also known as Fjordman. Fjordman: “It is my opinion, supporters of non-European mass immigration are extremists, not the opponents of this,” writes Peder Jensen. Dagbladet’s Marie Simonsen has repeatedly attacked me in this newspaper’s columns, most recently on 25 October. She writes that the author “ seems unable to participate in a public debate, where he would meet resistance .” Okay. I hereby challenge her to show how many places in the world with large Muslim populations have shown the ability to live peacefully with their non-Muslim neighbors over a long period of time. I will respond with an article. 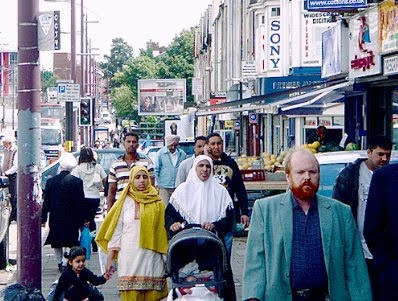 Being critical of Islam or multiculturalism isn’t right-wing extremism. Popular resistance against Islamization is now beginning to spread far into the traditional left. 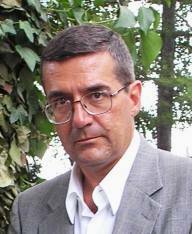 Thilo Sarrazin, for example, is a member of the SPD, the Social Democratic Party of Germany and thus a sister party of the Norwegian Labour Party, and even to those who were at Utøya. But let’s not talk about such things; it will make it much harder for outlets, including Dagbladet, to demonize people they do not like, and it would be sad. In my opinion, supporters of non-European mass immigration are the extremists, not the opponents of it. Is it not extreme to displace the native population in many parts of Europe, as is happening now? Italian prime minister Silvio Berlusconi was under the gun at the EU summit over the issue of the Italian debt crisis. At the last minute he cut a deal with the Northern League, promising to resign and call early elections in return for the Lega’s approval of a deal to raise the retirement age to 67, which it had previously opposed. 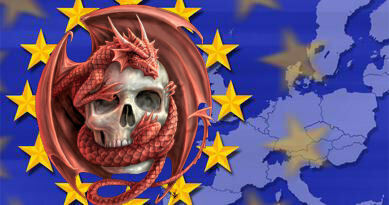 The EU believes that the euro may collapse if Mr. Berlusconi fails to deliver. In other news, the family of the late Col. Muammar Qaddafi is petitioning the ICC in the Hague to have NATO charged with war crimes for the manner of the former dictator’s death. Also, reports indicate that Col. Ghedaffi’s son Saif has taken refuge in Niger. Meanwhile, a video has surfaced of a Swiss couple who were kidnapped in Pakistan and have been held hostage there for four months. Thanks to C. Cantoni, CSP, DS, Fjordman, heroyalwhyness, Insubria, JP, Kitman, LN, Nilk, Steen, and all the other tipsters who sent these in. The Obama administration and its allies in Europe have encouraged and abetted the “Arab Spring” revolts in the Muslim world, enabling the Muslim Brotherhood to play a significant political role in North Africa after the overthrow of the old regimes. 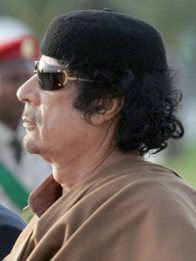 In Libya the West went so far as to apply military force to remove Col. Muammar Qaddafi from power and murder him, allowing Al Qaeda to join the new Libyan government. The second half of the video is devoted to a discussion of the re-Islamization of Turkey over the past decade, correctly identifying Turkey as the greatest threat to regional security. Bosch Fawstin is an accomplished graphic artist whose work is already familiar to many of our readers. His iconic impression of Geert Wilders appears as a logo on the sidebars of numerous Counterjihad blogs. 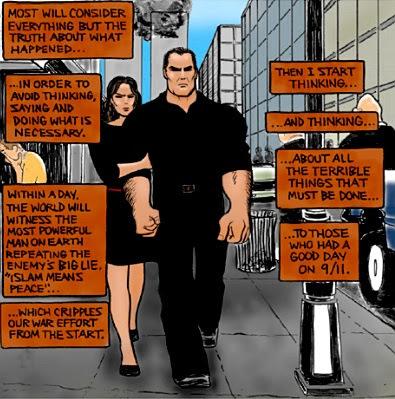 Mr. Fawstin’s most ambitious work is a comic book entitled The Infidel (#1). It features Pigman, a grim superhero whose mission after 9-11 is to deliver payback to those who wage jihad on America. 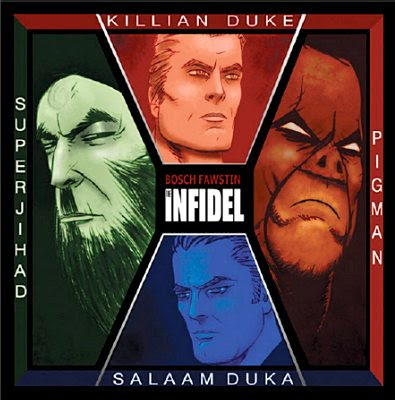 The Infidel is about twin brothers Killian Duke and Salaam Duka whose Muslim background comes to the forefront of their lives on 9/11. 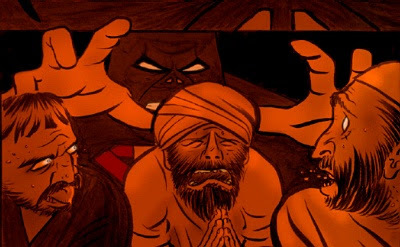 Killian responds to the atrocity by creating a counter-jihad superhero comic book called Pigman, as Salaam fully surrenders to Islam. Pigman’s battle against his archenemy SuperJihad is echoed by the escalating conflict between the twins. Mr. Fawstin was born to an Albanian Muslim family in New York, but was raised in a secular American environment. 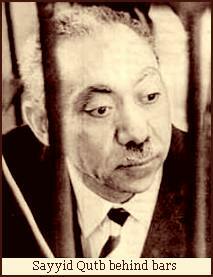 This provided him with a non-Muslim worldview, allowing him to see the evil ideology behind Islam. As a result, he became an apostate. The debt crisis and austerity regime have been hard on retail businesses in Greece. About 25% of the country’s businesses have closed, and that number is expected to increase next year. The worst-hit areas include the major shopping streets in downtown Athens, some of which have business vacancy rates of 30%-40%. In other news, U.S. Marines stationed in Afghanistan are being trained not to spit, urinate, or sleep with their boots in the direction of Mecca. Meanwhile, two Danish foreign aid workers were kidnapped in Somalia. Thanks to C. Cantoni, Diana West, Gaia, Insubria, JP, Kitman, Nilk, Van Grungy, Winds of Jihad, and all the other tipsters who sent these in. As I mentioned a couple of days ago, I’m in the process of rereading Among the Believers: An Islamic Journey by V.S. Naipaul. The author’s journey began in Iran just a few months after the revolution, and then moved on to Pakistan in the late summer of 1979. The three main contenders for the most dangerous exporters of Islamic zealotry are Saudi Arabia, Turkey, and Pakistan. The Saudis provide funding and Wahhabism. The Turks provide a large population, and are a well-armed, technologically sophisticated regional power with an aggressively Islamic government. Pakistan, however, is the “Land of the Pure”, the first deliberately-constructed Islamic state in modern times. It is the home of some of the most virulent varieties of radical Islamic ideology and terrorist groups. The idea of a separate Indian Muslim state, once it had been formulated, couldn’t have been resisted. The idea was put forward in 1930 by a revered poet, Sir Mohammed Iqbal (1876-1938), in a speech to the All-Indian Muslim League, the main Muslim political organization in undivided India. Iqbal, in fact, is saying in a philosophical way that in an undivided India Islam will be in danger, will go the way of Christianity in Europe and cease to be itself. Muslims, to be true to Islam, need a Muslim polity, a Muslim state. 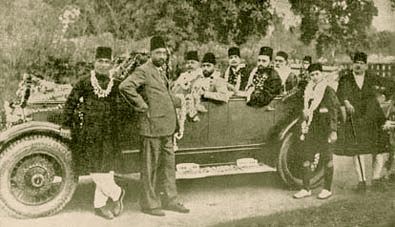 The Muslims of India especially need such a state, Iqbal suggests; because “India is perhaps the only country in the world where Islam, as a people-building force, has worked at its best.” And Iqbal’s solution was simple: the Muslim majority areas of northwest India should be detached and consolidated into a single Muslim state. Seventeen years later (and nine years after Iqbal’s death) it happened — and to the Muslim-majority northwest was added the Muslim majority eastern half of Bengal, a thousand miles away. But that Muslim state came with a communal holocaust on both sides of the new borders. Millions were killed and many millions more uprooted. And it was only afterwards that it became clear that that plan for the creation of Pakistan, apparently logical, meeting Muslim needs, had a simple, terrible flaw. CBN’s Dale Hurd has visited Norway again, this time to talk to an Iraqi who made a film entitled Freedom, Equality, and the Muslim Brotherhood. We posted a subtitled video of the movie last February, which has unfortunately been taken down from YouTube in the interim. 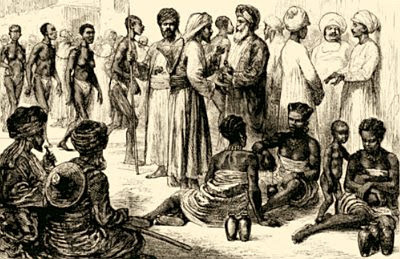 Kidnapping continues to be a popular activity in the Muslim world. Al Qaeda has been blamed for the abduction of three Spanish aid workers in Algeria, and a Russian doctor was kidnapped by tribesmen in Yemen, who hope to use him to bargain for a prisoner exchange with the Yemeni government. In other news, Swedish prime minister Fredrik Reinfeldt has proposed that Norway’s oil wealth be used to help the Eurozone solve its debt crisis. The Norwegian government is concerned that any loans it makes to the EU might not be collateralized sufficiently, and would thus be risky. Meanwhile, Mt. Etna in Sicily is in the midst of a spectacular eruption, throwing lava hundreds of feet into the air. The ash plume trailing from the volcano forced the closure of nearby Catania Airport. Thanks to C. Cantoni, Erick Stakelbeck, Fjordman, Insubria, JP, KGS, Kitman, Nilk, PJ, and all the other tipsters who sent these in. 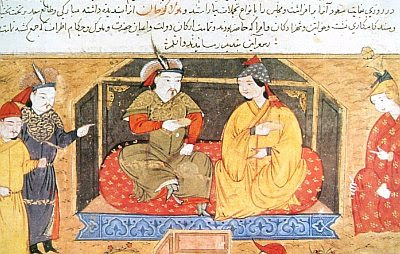 Below is the final article of a four-part series on history, human development, and Islam by our English correspondent Seneca III. A slightly different version of this essay was previously published at Crusader Rabbit. Previously: Part I, Part II, and Part III. Seneca III informs us that an extension of this series is in the works, and further installments are to be expected in the future. Sexuality comes in many guises, most of which will not surface in this essay in the interests of good taste (well, reasonably good taste!) and simple decency — in particular not those physically cruel, humiliating and positively inhumane practises to which some people subscribe. Such deviations distress me and it has already been difficult enough to write this essay in a form and manner just about suitable for public consumption without venturing into any of the darker corners of the human psyche. Nevertheless I would recommended that anyone prone to prudishness or with a predilection to take offence at any but the most obscure references to the subject at hand should sign off now. Truly, I have no wish to distress you either. “…It has long been held that chastity belts were in common usage amongst the gentry of the early Middle Ages. When the Knight or Lord went off to Outremer to besiege a town or two, and hack at a few necks in the process, the Lady remaining behind was locked into a certain type of activity-restricting iron girdle for reasons which, whilst rather obscure in this more enlightened age, may have had something to do with fidelity. Or whatever. First, human sexuality is a subject that needs to be approached with at least a modicum of humour, otherwise it has a tendency to get serious, and when it does get serious it can turn quite nasty. Secondly, most myths and legends, and even fairy tales and nursery rhymes, carry an underlying message. In their origins can often be found an idea, a story or even an example of wishful thinking that tells the reader or listener far more about the state of mind of the originator(s) and his or her situation than does the actual message. These mini-histories tend to be palimpsestic inasmuch as what is buried within can often be far more interesting and informative than that which is apparent on the surface. In 1400 Konrad Kyeser von Eichstätt published ‘Bellifortis’, a book detailing the military technology of the time. Also in the book is a drawing captioned (in Latin) ‘These are hard iron britches of Florentine women which are closed at the front’, but he offers no supporting evidence or corroborating documents. This, for what it is worth, is the first known written account of chastity belts in the West, and succeeds the Crusades by a couple of centuries. Here’s Ezra Levant talking about the new sharia dictatorship in Libya, and also the rise of the Muslim Brotherhood in Tunisia and Egypt. As he points out, the issue is not the accession of a new thug in Tripoli — that, after all, is business as usual in that part of the world — it’s the fact that the Western democracies used military force to install this particular thug, and are trumpeting the outcome as “freedom for Libya”. Libya has just become an Islamic republic; that is, a sharia-based state. According to the early returns from today’s elections, Tunisia is headed in the same direction. The article below discusses the projected success of the Tunisan party Ennahda, which it describes as “Islamist”. More precisely, Ennahda is a local chapter of the Muslim Brotherhood in Tunisia. So the Muslim Brotherhood in alliance with Al Qaeda has just formed a government in Libya, the Brotherhood is in the process of winning an election in Tunisia, and the Brotherhood will shortly be taking the reins in Egypt. Syria is probably next. Bashar al-Assad would be well-advised to pay close attention to those ghastly videos of the last moments of Col. Muammar Qaddafi. Early results from polling stations in Tunisia put the Islamist Ennahda Party in the lead in many constituencies today. Electoral officials are counting votes in landmark elections that saw more than 90% of registered voters cast ballots. Official results are not expected until later today or tomorrow. As I mentioned last week, Robert Spencer will be starting a tour of Australia at the end of November, sponsored by the Q Society. A partial list of his whistle-stops has now been released: Melbourne, Perth, Sydney, Canberra, and Brisbane. Having just interviewed Waseem Zaffar, Labour Councillor for Lozells & East Handsworth ward, Birmingham, about his letter to the Home Secretary, Teresa May, requesting that the EDL demonstration, planned for Birmingham on Saturday 29th October be banned, Adrian Goldberg then spoke to Tommy Robinson, leader of the English Defence League to hear his side of the story. Why Are the EDL Protesting in Birmingham Again? “So what is homophobic, anti-Semitic and anti-British?” Mr Goldberg enquired. “Their views on...you had a preacher at Birmingham University, come over to Birmingham University last year. He is on record as saying, that, when he is talking about adultery and homosexuality, that it is a public crime, it deserves a public punishment. Adultery is punishable by death, a slow and painful death by stoning - and he’s talking at Birmingham University!” Mr Robinson said. “You’ve just had six local Muslims arrested again.” Mr Robinson added. Mr Goldberg didn’t think that they should be commenting on people that had not yet been convicted, in keeping with the finest British tradition and that would ensure that they could carry on the conversation without being taken off the airwaves. Tommy agreed. Mr Goldberg asked whether Tommy believed that as a whole the Muslim community of Birmingham were homophobic, anti-Semitic and anti-British.